How’s your Monday going so far? David & I are working like crazy on some exciting things hopefully coming in the near future. I can’t wait to show and tell you about it. We have a lot to do before i can post anything about it. 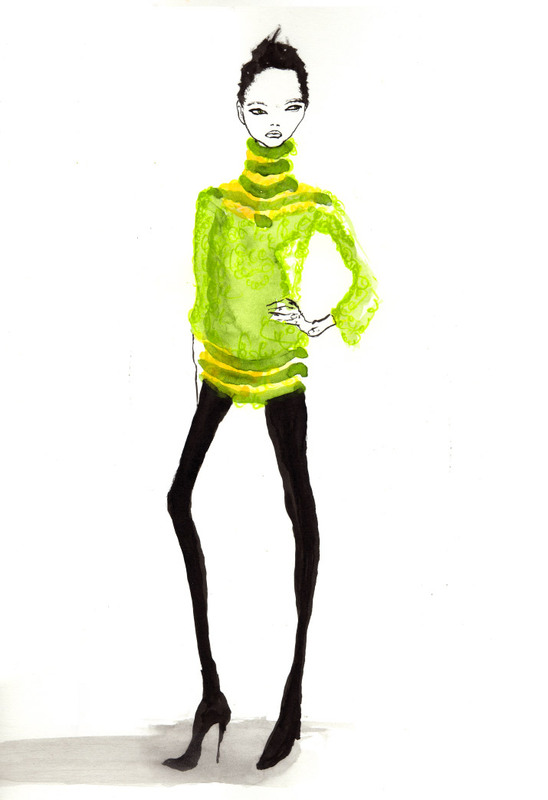 I thought I would post one of my favorite Croquis, I did in 2005 in my Fashion Design class. I don’t know why I like it so much, because it’s super basic. But there is something I love about it. It was done with ink and water color. I really hope you like it. You have anything fun planned this week?